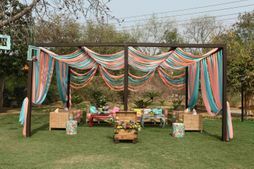 #VenueSpotlight: Ramaya Farms For That Cozy Outdoor Wedding You Were Dreaming About! 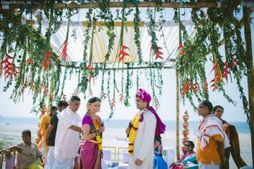 What makes a good wedding venue? We all have our own rules to this. We all have our own special preferences. 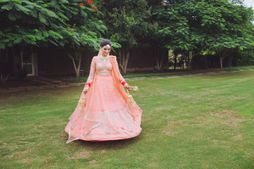 I'd like it to be an open-air space with a lawn and the works - because I can imagine my pheras under the stars with the faint smell of roses in the air and my lehenga swishing under the moonlight! *Sigh. 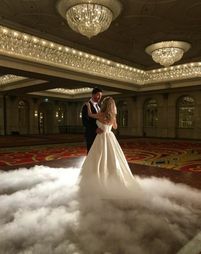 My partner though feels that a banquet hall works better because you can control the crowd and it's temperature controlled. My parents have completely different selection criteria than these to make that decision. Maybe it's about value for money. Maybe it's about the fact that it's air-conditioned so you don't sweat in your finery. It could also be about parking space ( Yep, don't roll your eyes, that's super duper important, if you ask my dad!). 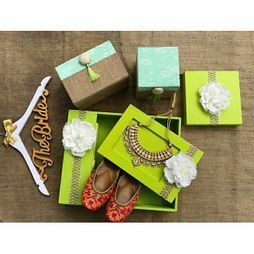 Yeah, all these wish lists and finding that perfect space just got wayyyyyy tougher. But wait, there is one space though that fits the bill to the T. This spanking new farmhouse in Chattarpur which checks off all points on our combined wishlist - The Ramaya. 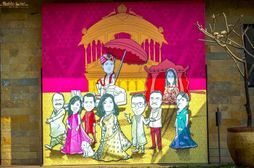 Psst, did I tell you that farmhouse weddings are the Kangana Ranaut of our times - so in trend, bold and absolutely smashing for a destination wedding, and Chhatarpur is the wedding hub of the capital city! 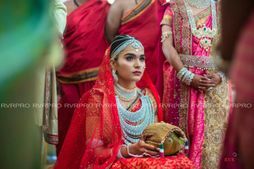 The Ramaya is fresh and unique - a premium farmhouse in Chhatarpur, sprawling over 10.5 acres and it's sure to make your wedding pictures look like a million bucks. 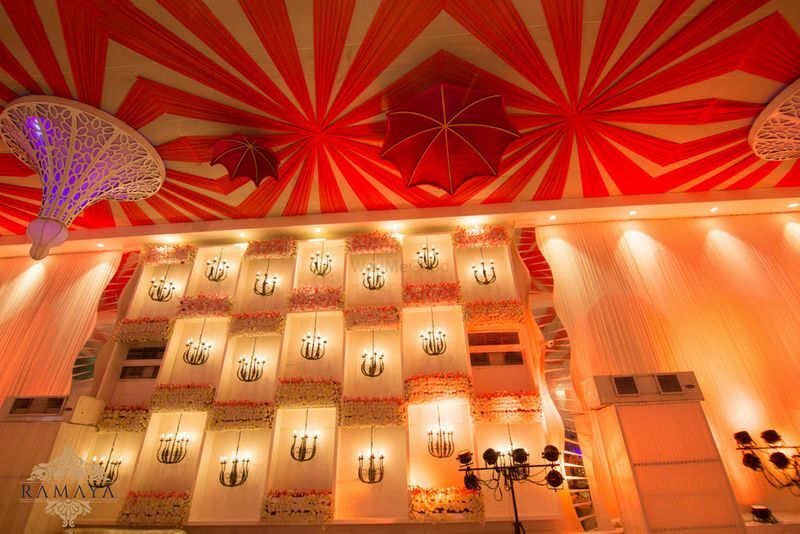 The location itself is easy to find and quite popular, located on main Chattarpur road, near Chattarpur Mandir. 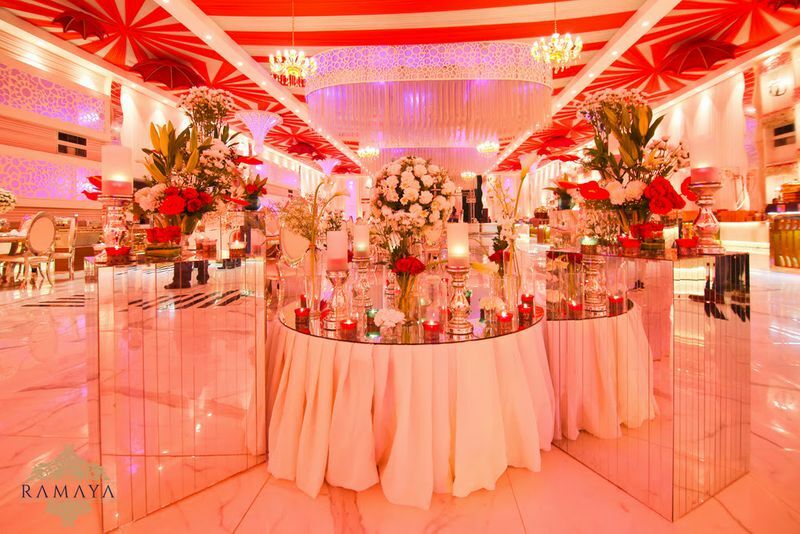 This space also comes with both options - two outdoor lawns/ gardens with an indoor banquet hall each. There's also a private pool and gazebo venue for those quaint pre-wedding events. 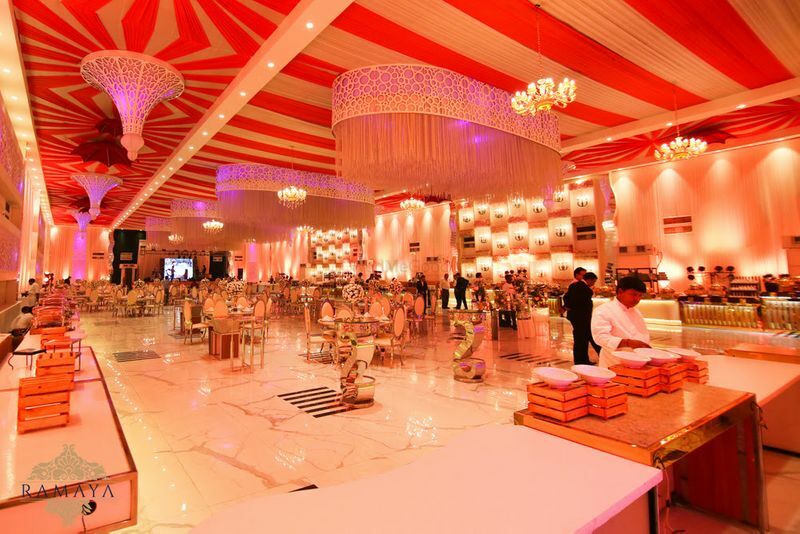 Plus, there are other features that make this space conducive to pretty and practical weddings - full-on air-conditioned banquets and a collective parking space for 2000+ cars. 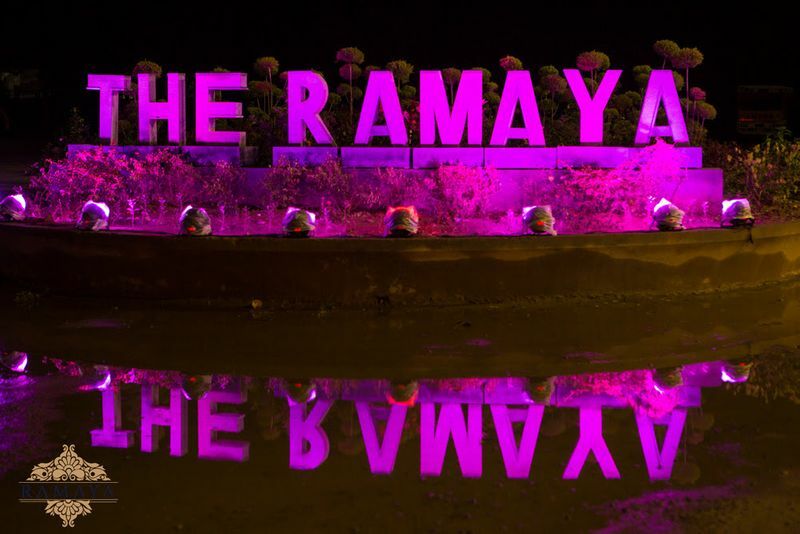 The Ramaya is as intimate as farmhouses are and allows for a good old-world charm and at the same time, it can double up as a glam house for night events. Win-win, if you ask us. 15 Amazing Tents That Redefine Outdoor Weddings!